Does he have a devteam? Stevey: Does he have a devteam? 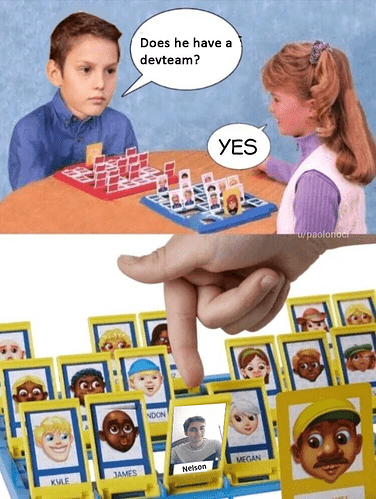 I want more Guess Who memes now.